Its special sci-fry™ with Olive Oil and antioxidants makes it ULTIMATE OIL for everyday cooking. 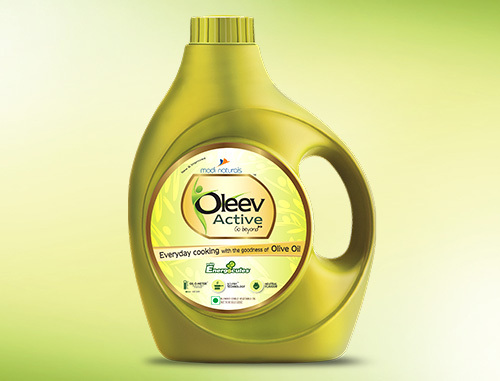 Oleev Active is a unique blend of Oleev Olive Oil and Rice Bran Oil, specially created to fulfil the demands of modern lifestyle. It has an EnergoculesTM formula that will ensure you stay active and energized throughout the day and celebrate every moment of your life with nutrition that is real. 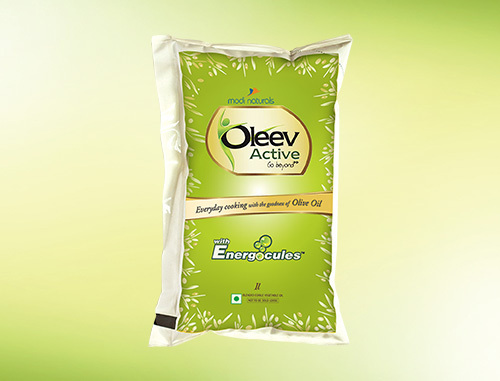 EnergoculesTM gives a special composition to Oleev active, making it rich in Linolic Acid. Energy is produced when ATP (Adenosine Triphosphate) is released through Linolic Acid. ATP transports chemical energy within cells for metabolism. Virtually every activity in the body that requires energy uses ATP as the source of power. From assisting in proper metabolism and muscle contraction to neuro-transmission of energy, ATP is required at each step of our everyday life. It keeps us going all day long and helps us cope with today’s fast paced life.